Home Books For 2019 YourNovel.com Romance Novelists Profile Valentine Shopper Types: Are You the Procrastinator, the Overachiever or Doghouse Bad Boy? Are You the Procrastinator, the Overachiever or Doghouse Bad Boy? (RALEIGH, N.C.) — NEWS: J.S. 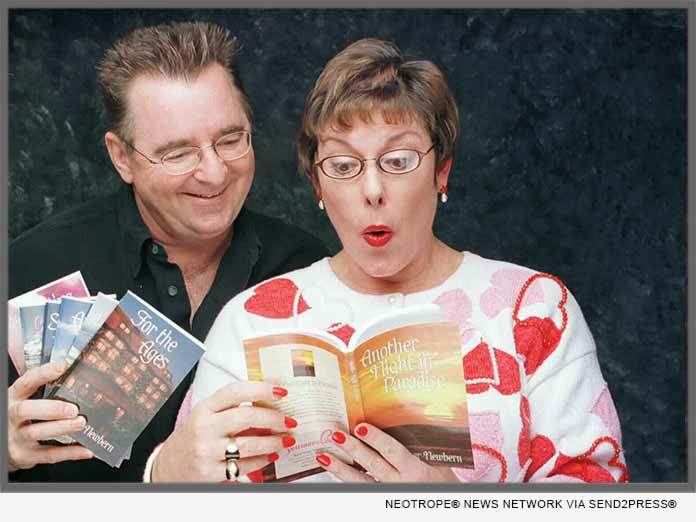 Fletcher and Kathy Newbern, founders of YourNovel.com, are still going strong after nearly three decades of personalizing romance novels for couples far and wide. Imagine you and your Sweetheart starring in a book. How romantic.